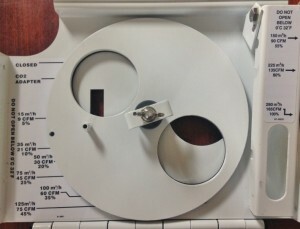 How do I know the power plug is ok? An intact power plug should have four metal pins, of which the biggest one is the so-called earth plug. 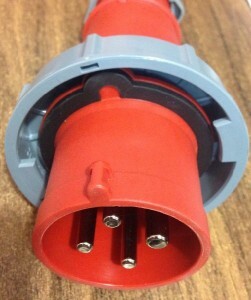 To ensure that a power plug is correctly connected to a power socket, a small plastic guide (shown on the picture on top of the plug) will ensure that the power plug is correctly inserted into the power socket. 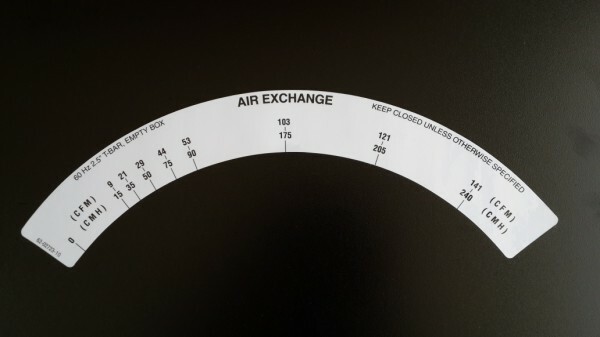 When such guides are being removed, the risk of incorrectly connecting a container is high, which could lead to damage and/or improper functioning of the container. Is there a difference between cbm and cmh? The correct abbreviation is cmh (cubic meter per hour), but commonly people also use cbm(h) as an abbreviation - both indicate the same. Which types of containers do you have? We have 40 ft High Cube Reefer containers always in stock, and on a regular basis also 40 ft dry vans, 40 ft high cube dry vans, 40 ft flat racks and 20 ft dry vans. 20 ft reefer containers are only available upon specific request and with a 4 week lead-in time. Which are the destinations of your service ? We offer weekly departures to Vlissingen (the Netherlands), Dover (UK) and St. Petersburg (Russia). Click here to check our schedules. Why are B/L’s only issued after departure of the vessel? Because we issue documentation conform Mate's Receipts and tallysheets, which are only available upon completion of loading operations. Until when do I have time to present my other documents? These have to be presented each Friday by 16:00 hrs local time at the latest. When do the ships operate in port/ when do the ships sail? Normally operations in Puerto Moin take place each Sunday as from midday until Monday 04:00 hrs with departure scheduled at daybreak. Is Vlissingen the same port as Flushing? Yes, Flushing is the English name for the Dutch port of Vlissingen. How do I calculate the % ventilation into cubic meters per hour (cmh)? Within our 40 ft high cube reefer fleet we use containers of two different makes, viz. Carrier and Thermoking. Please find below the conversion sheets for each make. Where can I find the ships’ itineraries? The ships' itineraries can be found on our website under the tab Schedules. Which special cargo related forms have to be filled out? A booking form and instructions to fill out B/L; you can find these forms under Useful information. What are the transit times to Vlissingen, Dover and St. Petersburg? The transit times to Vlissingen, Dover and St. Petersburg are approximately 14, 15 and 21 days respectively. Click here to check our schedules.